I met Delilah at Domme a Domme. I do not know what first attracted me, but I was in a sub mood and we began to talk and had some banter. So it developed into a stand off to see who would kneel to whom? Not that I remember exactly but at some point I decided to make her kneel and Delilah did not take much persuading . It was late, too late to start anything longer and when I left Deli was told to kneel to me when I returned to DaD or if I saw her elsewhere. I do remember that I had to remind her later but not very often. Not long after that meeting Jenny, having a green light, took me to DaD and Deli happened to be there. Jenny made me ask her to release my locks. So Deli knows about my sub side. That didn’t change anything between us. Deli remembers that I confirmed that night that I’ll domme her when we happened to see each other sometimes which is not really often. Then one night when Jenny and I were hunting we knocked her out with a poison arrow, kidnapped her and took her home. We just kept her for some hours … but Deli returned and she got used to kneel to me and Jenny and to express her sub side. Then I used my little mean thumb cuffs to tame her even more which was very effective. Deli visited several times before we had to move out from Dragon Cove. After our move I told her to stay on our new island if she ever wants me to take her thumb cuffs off again. She did stay. She has a patient and caring way and she pleased Jenny and me for weeks. After a few days it became evident to us that we want to collar her as Deli became more and more a part of our family. Mount Everst had become her home. Delilah began her traditional trial, locked naked and gagged in a capsule close to the landing point of Eurobrats headquarters on July 15th, 2011. When she walked into her cosy capsule she said “I’ll enter in it as a domme with a sub side, and will leave it, I don’t know when, as a slave with a domme side”. We enjoy her dedication and submission to us. We promised Deli that we will not destroy her domme side. So don’t underestimate our brat. Today, July 20th, we welded a brand new collar around Deli’s neck. She’s Dio’s Huntress now. Welcome to the family, Deli. Delilah went further down the path of her submission to us. She approached us a couple of weeks ago and told us that she would like to become closer Jenny and to experience Jenny’s dominant and strict side a bit more. So Jenny began by giving her some rules about how she should act when she first met either of us. The rules also helped to nurture her submissive side. We both enjoyed using Delilah more over the past 2 weeks and Delilah began to open up to us more telling us about the things that excite her. Then yesterday we decided to take her to the next step of her submission. She became our concubine, Maurer’s concubine. She’s the woman who pleases us and who fulfills not only our demand to control or to have her tied and locked at feet but also serve our sexual demands. Welcome to your new stage, Delilah. 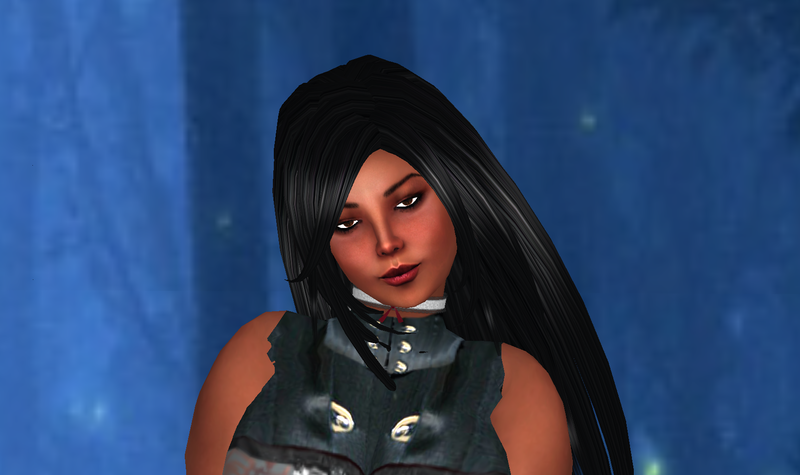 Sadly we released Delilah Maurer (delilah.ormidale), our concubine, today Dec 30th, 2014. Deli is a wonderful sub and has pleased us a lot and added so much to the Eurobrats. During the last year Deli came online less and less due to her RL and finally didn’t appear at all anymore for the last 6 months. We lost any contact to her and she didn’t give any sign of life or replied to our offline IM’s or emails. We can only hope that she’s doing well and wish her all the best. If you read these lines, Delilah – we miss you! Deli will of course stay a family member and will be welcomed back home in case she joins us again one day.